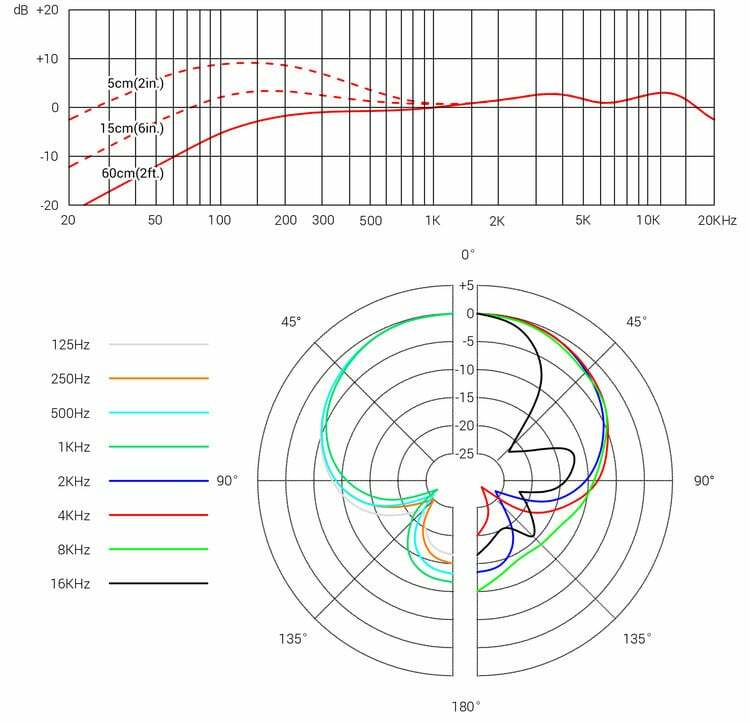 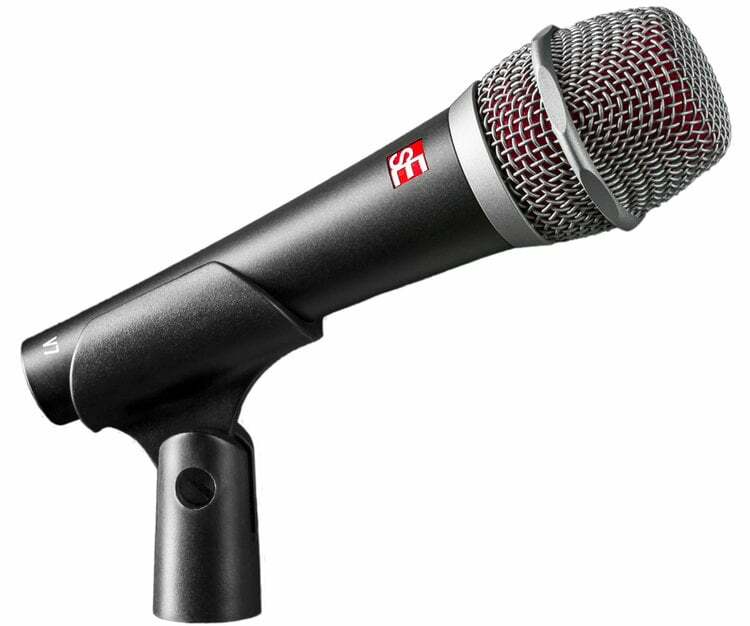 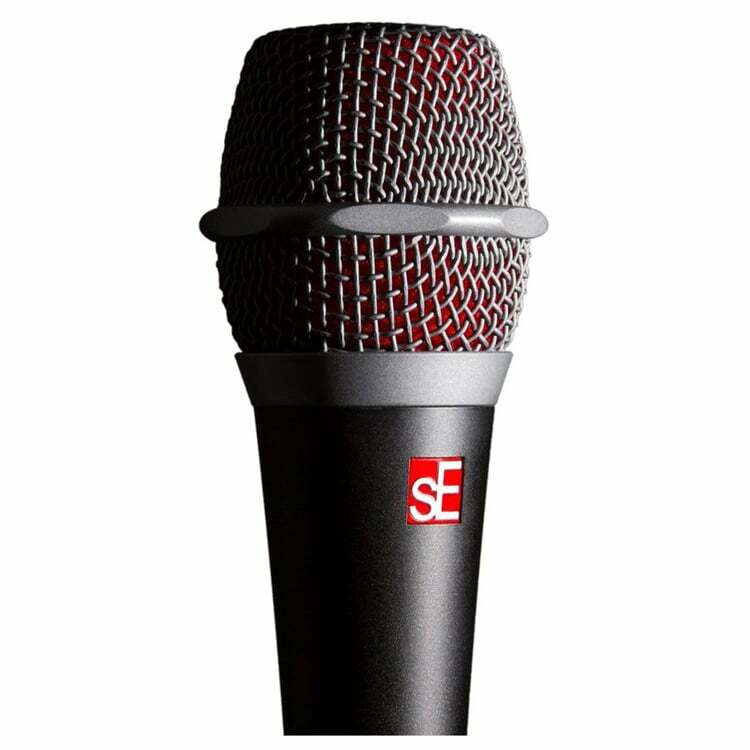 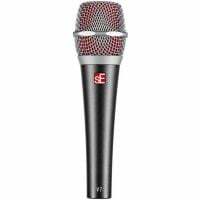 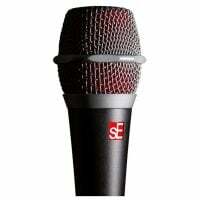 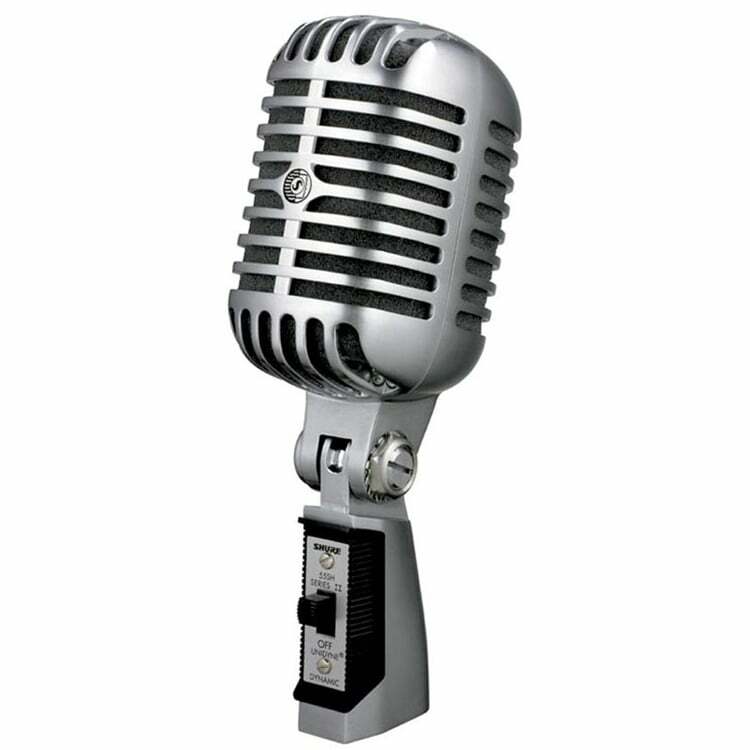 The sE Electronics V7 is a professional super-cardioid dynamic microphone designed for smooth natural sounding audio. 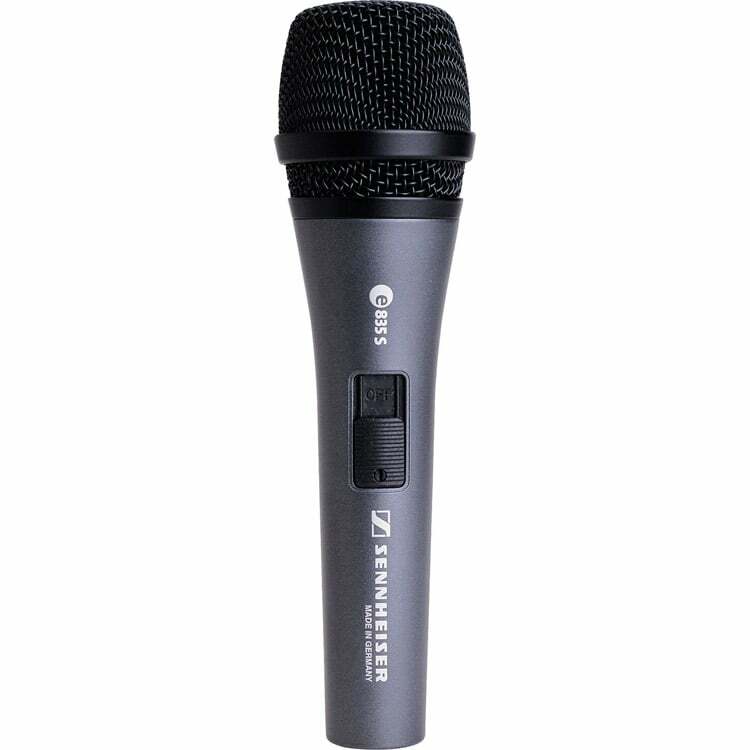 Featuring an all metal designed for increased durability and reliability, even when on tour. 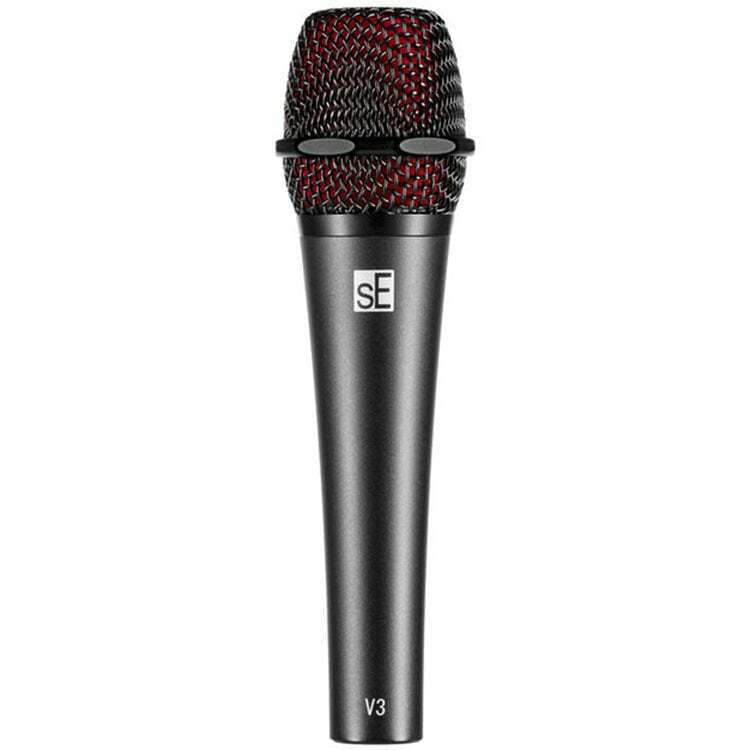 The chassis’ high quality, highly durable zinc alloy is designed to hold up under on-stage stress for years, and the spring steel mesh grille is dent-proof and corrosion-free for perfect reliability. 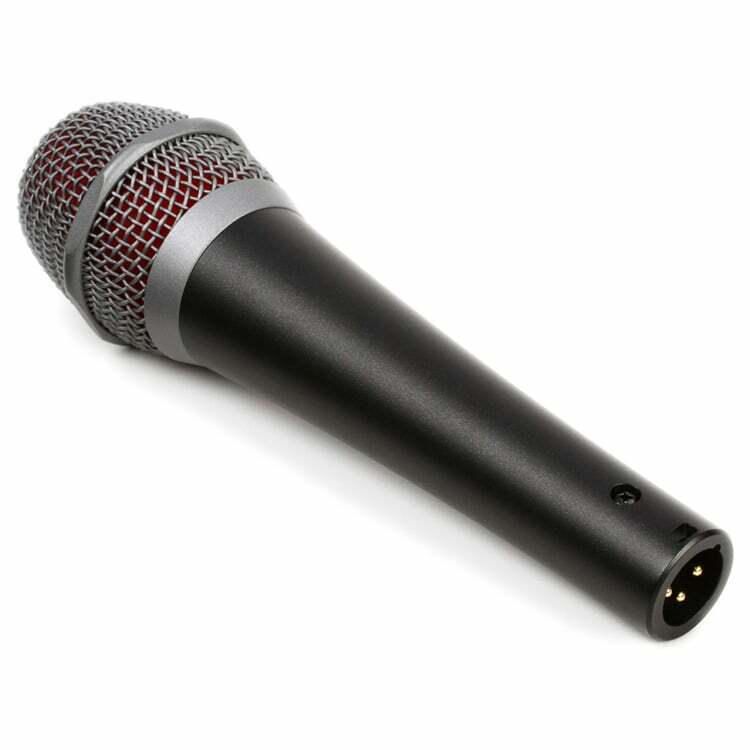 Under the hood the The DMC7 dynamic element in the V7 has been custom-developed for a crisp, open sound that perfectly captures your voice and instruments in the most natural way you’ve ever heard on stage – and its sophisticated super-cardioid capsule design helps isolate your voice from other instruments, ensuring vast amounts of gain before feedback. 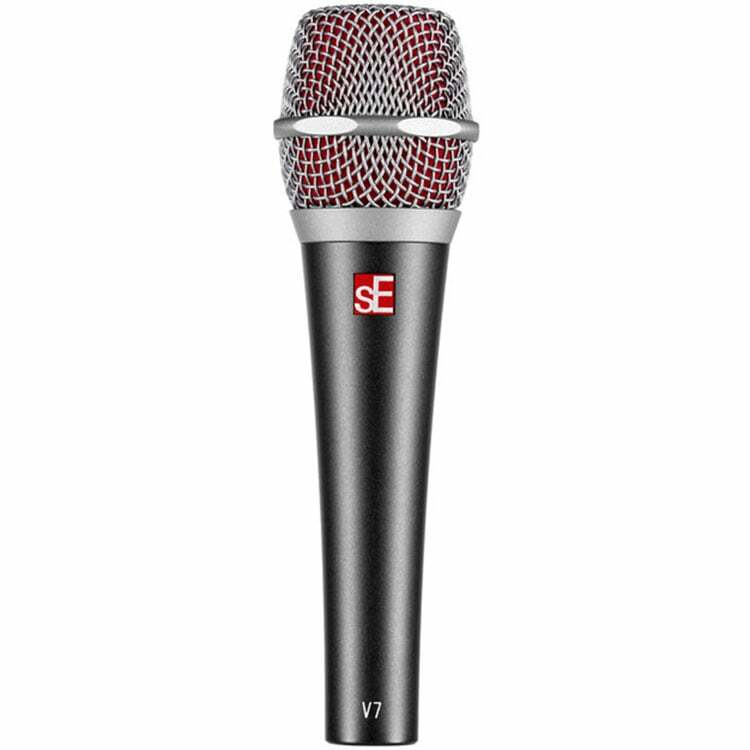 Plus the V3 also includes a beveled edge around the microphone that prevents your mic from rolling around when you put it down on top of your amp or the stage floor. And a gold-plated XLR connector also ensures a loss-free and reliable signal connection for years to come.